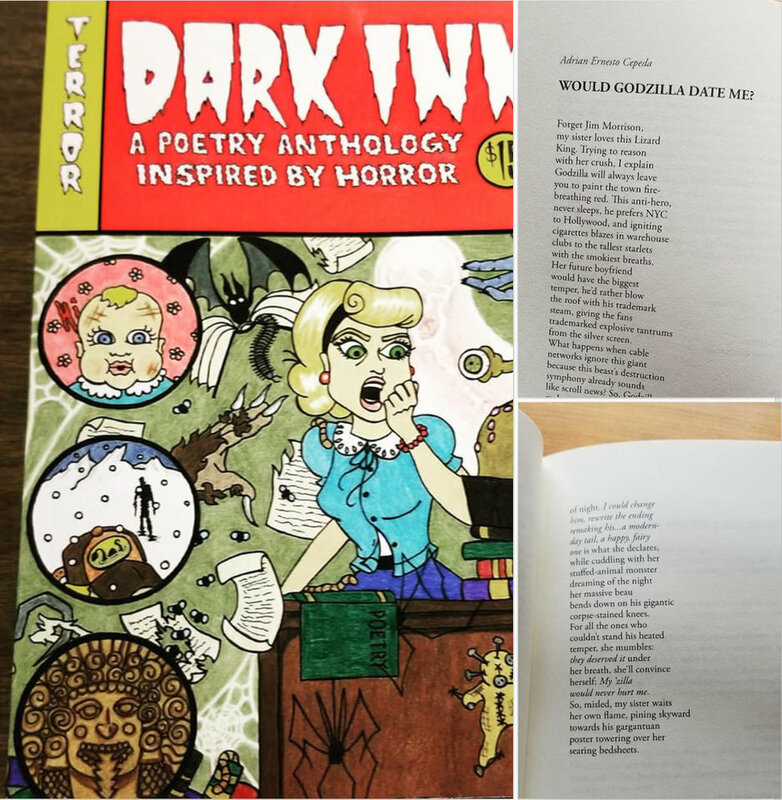 This post is a month overdue...I had technical issues with some of the photos, so I had to scrap my initial plan and instead individually feature poets from the Dark Ink anthology launch. First of all, I want to start with Adrian Ernesto Cepeda. I was so stoked getting to meet him in person at the Dark Ink launch after following him on Twitter for so long. And his poem was fantastic! Buy the anthology from Moon Tide Press, so that you can read it and all the other fantastic poems! Full disclosure: I stole this photo from his post on Facebook. Below is a selfie of the two of us. And look down here for some members of the audience!